10.7 "Lion", 10.8 "Mountain Lion", 10.9 "Mavericks", 10.10 "Yosemite". 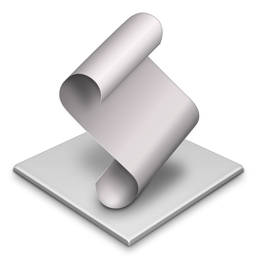 therefore, it is no longer blocked by GateKeeper during its initial launching. The procedure ends here for automatic configuration. Not pursue this course of action in case of manual configuration ! 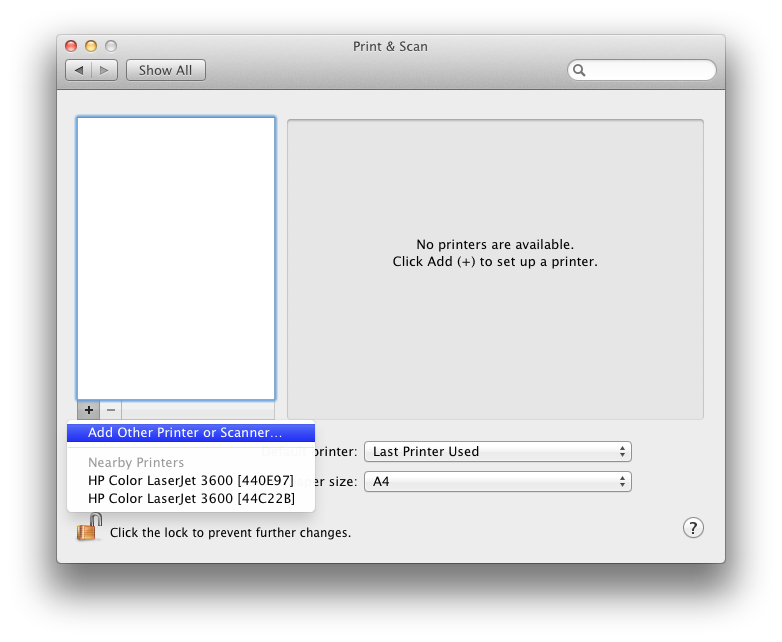 Open the dashboard Print & Scan ... then add [+] printer. 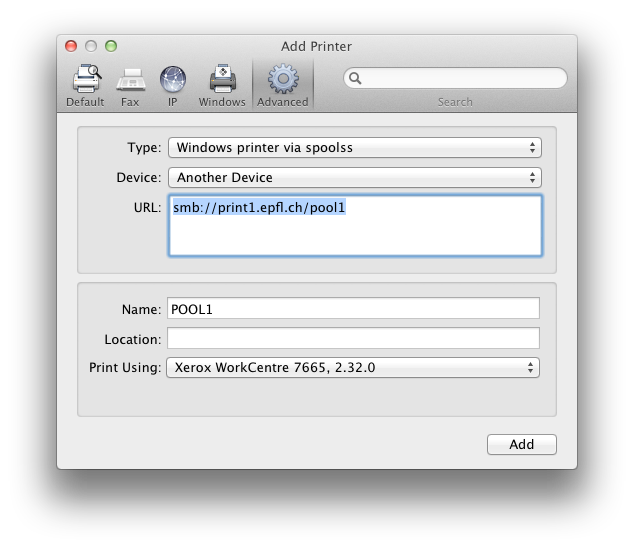 then select the printer driver Xerox WorkCentre 7665.
but obviously not in the URL! 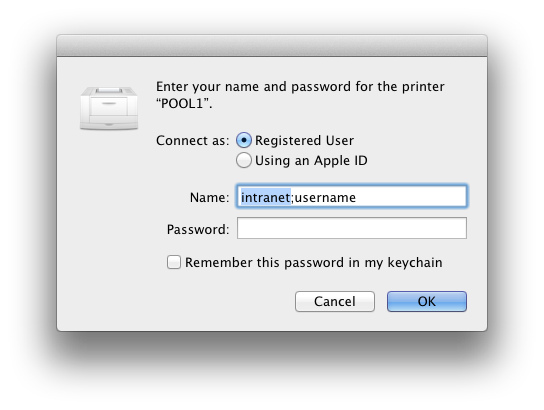 The above command must be entered exactly as shown, ie without replacing username, password with your own data. 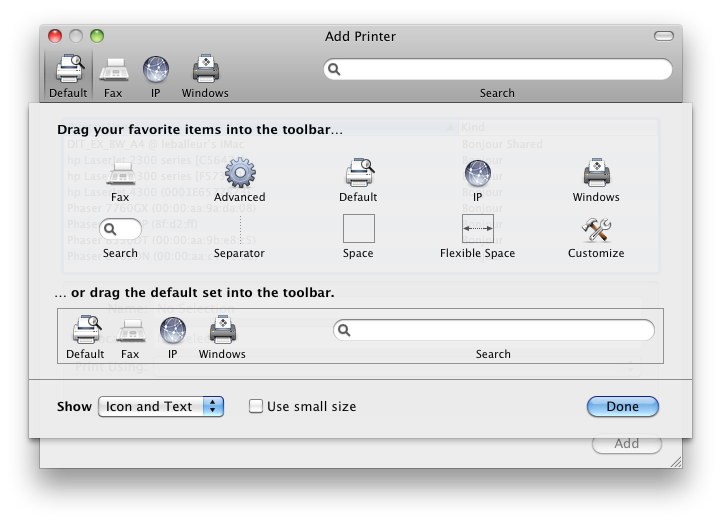 Now your Macintosh is configured and ready to use MyPrint. 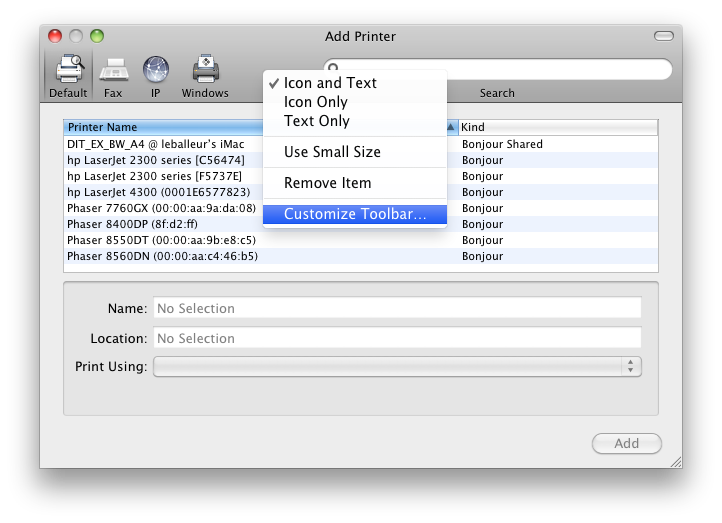 The procedure described in step 4 is specific to the current session (login), ie if several people share the same Macintosh, each session will have its own identity for printing MyPrint. 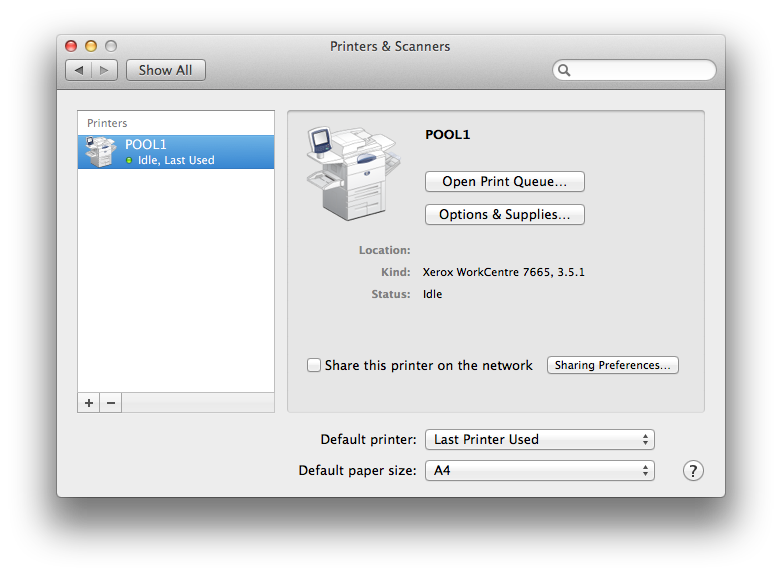 2) (or) word (s) passes the printer "POOL1" your Keychain Key.